FOG! Chats With CHUCK’S Mekenna Melvin! In just two short years, Mekenna Melvin has worked with such powerhouse actors as Tim Roth, Michael Imperioli, Alfre Woodard, and Alex O’Loughlin before getting the job playing the long lost daughter of NSA agent John Casey (Adam Baldwin) on NBC’s Chuck. Mekenna has made eight appearances on the series so far and her character has also become an even more integral part of the mythology, becoming the girlfriend of Joshua Gomez’s character Morgan Grimes. Mekenna took some time to chat with FOG! about Chuck and her upcoming projects. You were initially cast for a single line as John Casey’s daughter, Alex and have now become part of the Chuck mythology. Were you a fan of the series prior to appearing? I have to admit I had only scene a few episodes. But right before I auditioned for the first episode I rented the first 2 seasons and fell in love!! I am so excited to be working on the show! As the girlfriend of Josh Gomez and the daughter of Adam Baldwin on the show, how long before Alex joins Team Bartowski? I honestly don’t know what the powers that be have up their sleeves. It would definitely be exciting for Alex to be part of team Bartowski. We will all have to watch and find out. Chuck was saved from cancellation two years ago thanks to Subway. 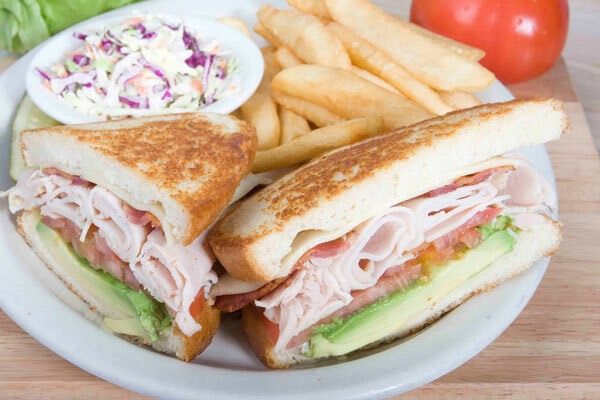 What’s your favorite sandwich? I’m usually a turkey with cheese, lettuce, tomato, and avocado kinda girl. But I have been known to change it up ever once in a while. According to the imdb, your first real geek-friendly role was in Blair Butler’s America’s Next Top Zombie Idol. What’s scarier, zombies or reality shows? Hahaha…… Definitely reality shows. Blair is wonderful!! I had so much fun on that job. What is your pop culture guilty pleasure? I have a soft spot for shows that have anything to do with home design, remodel or house hunting. My favorite at the moment is Holmes on Homes. I LOVE HIM! A film I co-created and co-starred in, Amber Lake, is in the final stages of post production. I’m also auditioning a lot and excited to see how everything unfolds with Chuck. FOG! Chats with Burn Notice's BRUCE CAMPBELL!! OMG, I love Mekenna on CHUCK!! She is so talented! !